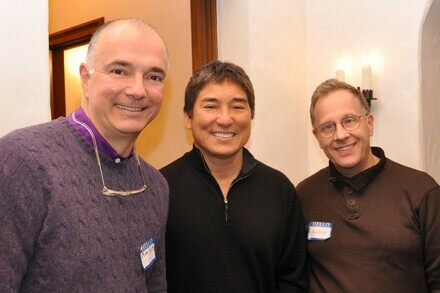 Guy Kawasaki - Macintosh 25th Anniversary Reunion: Where Did Time Go? On January 24, 1984 Apple introduced Macintosh. 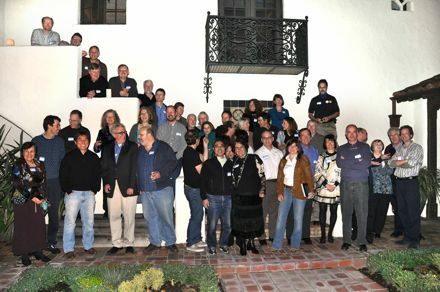 Many of us who worked in the Macintosh division are now asking, “Where did the time go?” The Division had a reunion at the home of Alain Rossman (software evangelist) and Joanna Hoffman (the division’s conscience and first marketing person) to celebrate this occasion, and these are pictures from the event. Let me take you back to 1984 and show you two videos. 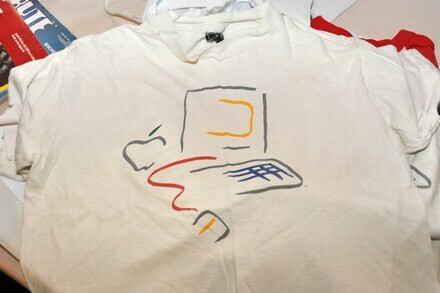 This is the unveiling of Macintosh by Steve Jobs. It was one of the most magical moments in our lives. This the “1984” commercial that ran during the Super Bowl on January 24th, 1984. 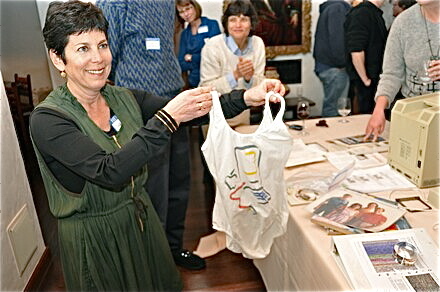 Leotard twenty five years later–Barbara Koalkin (Macintosh marketing manager) is holding it. This is Barbara again. 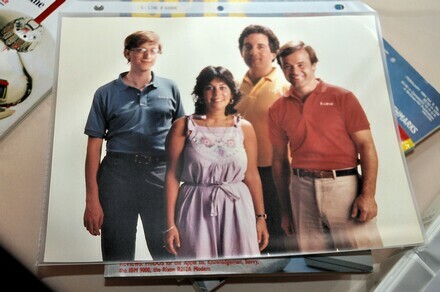 This time in a photo with Bill Gates (Microsoft), Mitch Kapor (Lotus), and Fred Gibbons (Software Publishing Corporation). 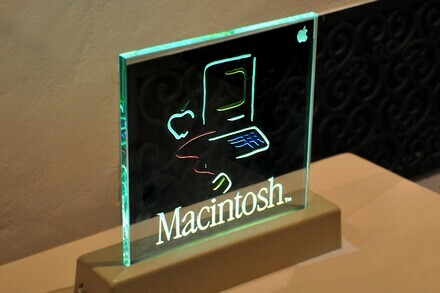 We gave this glass decoration to Apple dealers. 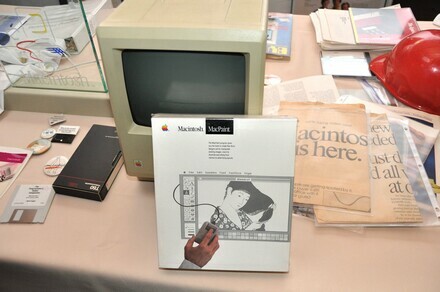 Macintosh 128K with a MacPaint box. MacPaint was truly a mind-bending application that showed how different Macintosh was other computer operating systems. Macintosh Division tshirt. We were very big into tshirts. 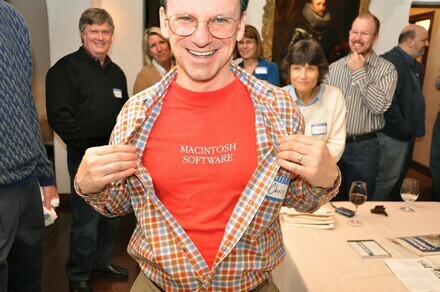 Chris Espinosa (end-user and technical documentation of Macintosh) with the tshirt of the software group. 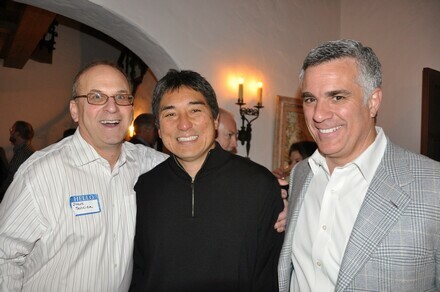 Steve Scheier (ran the test-drive-a-Mac program), me, and John Rizzo (Macintosh product manager). 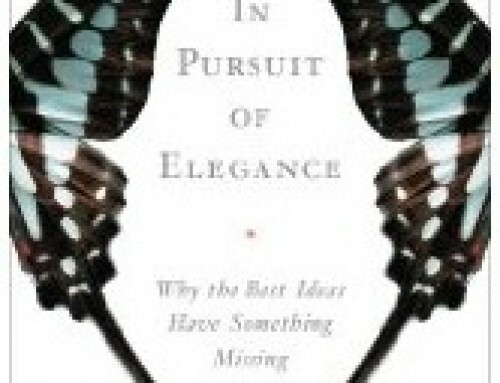 Dan’l Lewin. 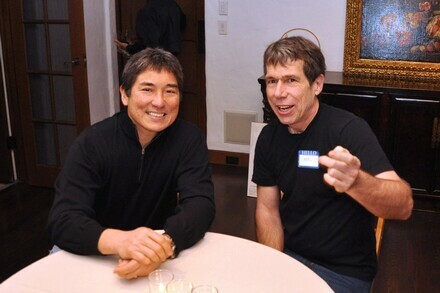 He ran the Apple University Consortium. 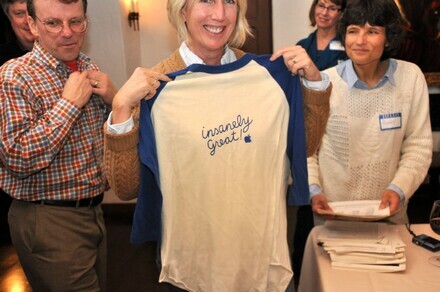 His efforts got Macs into the hands of students and faculty at schools like Stanford and Carnegie Mellon. 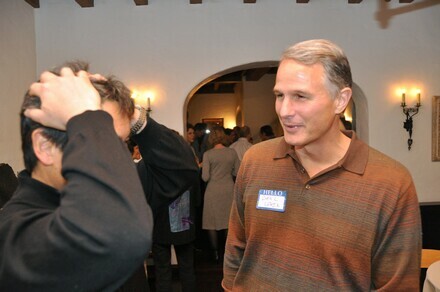 Chris Espinosa with Scott Knaster (developer tech support). 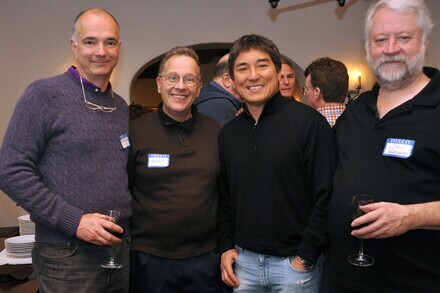 Four software evangelists: Mike Boich, Alain Rossman, me, and Jim Armstrong. 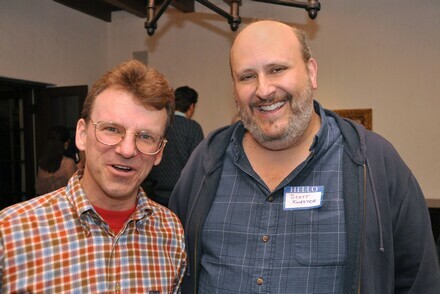 Steve Capps (wrote Alice and worked on the Finder and ROM). 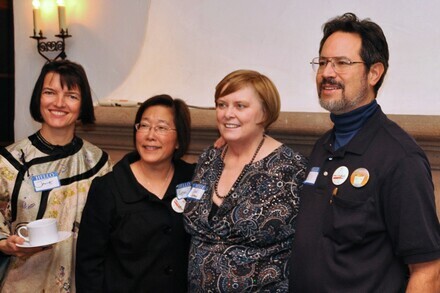 Jane Anderson (then of Regis McKenna, Inc), Lynn Takahashi (Steve’s admin), Debi Coleman (CFO), and Bill Fernandez (hardware design). 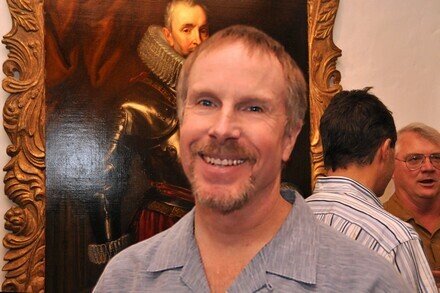 Randy Wigginton (author of MacWrite). He sure does look like the guy in the painting behind him. 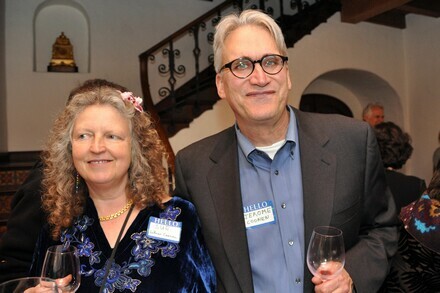 Jerome Coonen (software team manager and worked on the math routines in the ROM) and his wife, Sue (worked on Lisa documentation). 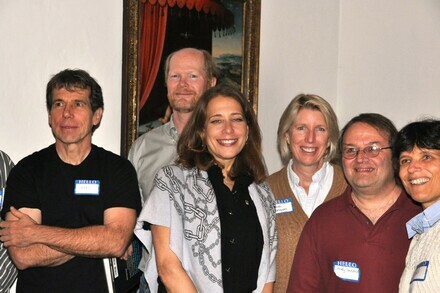 Steve Capps, Bruce Horn (worked on the Finder and Resource Manager), Susan Kare (she was responsible for much of the Macintosh graphic design and created the Macintosh icons), Patty Kenyon (software team), Andy Hertzfeld (main contributor to ROM), and Rony Seebok (software team). 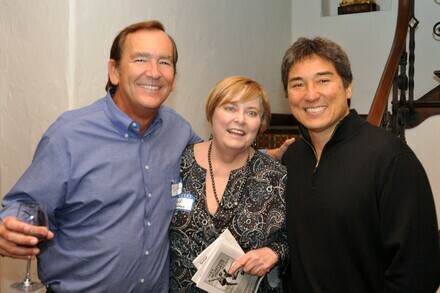 Bill Wathen, Debi Coleman, and me. Funny story: I once purchased about $1 million worth of software to give to the Apple salesforce and dealers to convince them that Macintosh had software. This was a mere $995,000 over my spending authority so Debi (then CFO of the division) told Bill (who was the controller) that she was going to get me fired! 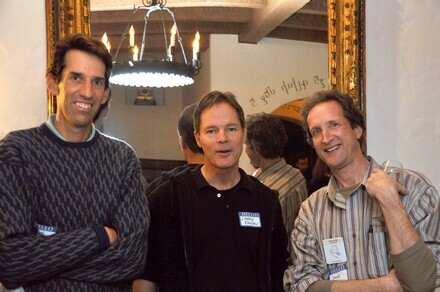 David Beaver (Steve’s assistant), Larry Kenyon (driver-level software), and Dan Kottke (hardware design). Three evangelists again. 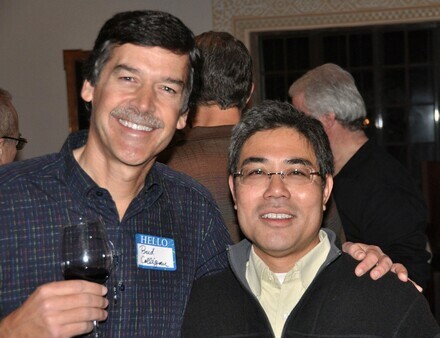 Mike Boich started evangelism and hired me, and Alain Rossman worked with me as a software evangelist. Essentially, Mike started evangelism, Alain did the work, and I took the credit. 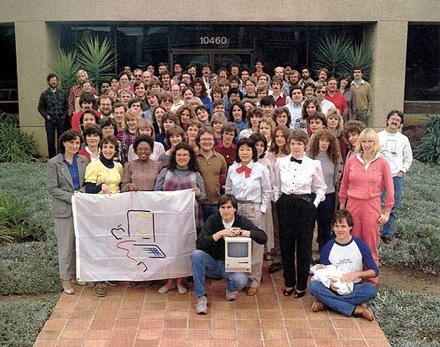 The Macintosh Division, circa 1984. The Macintosh Division, circa 2009. I hope that everyone gets at least one chance to work on such a great project with such great people as the Macintosh Division. Thanks to my buddies at Fixmyphotos for doing the photo editing so fast. By the way, I’m still using a Macintosh and aggregate Macintosh news at Mac.Alltop.